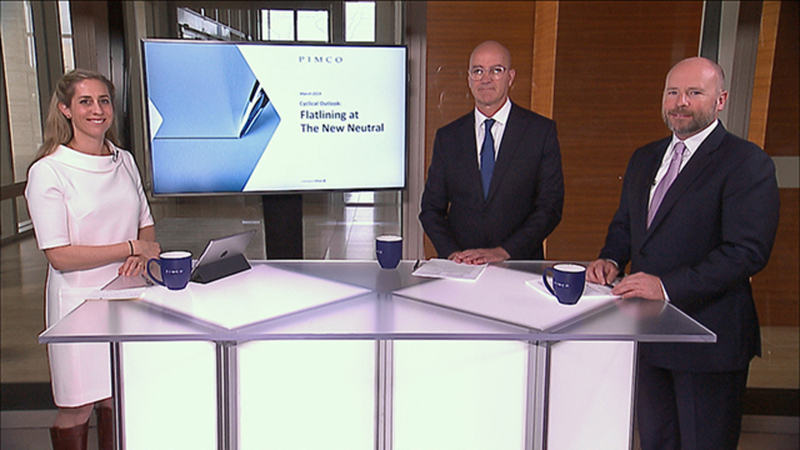 Olivia Albrecht: Hi, I’m Olivia Albrecht, and welcome to PIMCO and I’m joined by my colleagues, Scott Mather and Joachim Fels, to discuss our cyclical outlook. So for the rapid-fire questions, Joachim, I'll start with you first. What are the chances of recession, and how have developments this year affected our views? 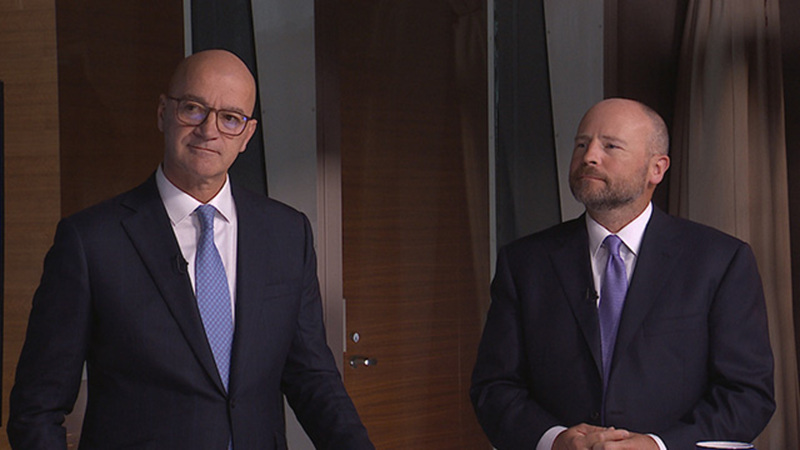 Joachim Fels: Chance of recession, I would say maybe one in three for the US. So that is still higher than for most of this expansion, this 10-year long expansion. But it's a little bit lower than it was in the fourth quarter when it was higher than 33%. Why is it lower? Well, the fed less likely to commit overkill, as we discussed. Why is it still roughly a third? Well, growth is slowing. We're getting closer to stall speed. And then it doesn't take much in terms of an external shock to push the economy into a recession. Olivia Albrecht: Scott, to you, central bank's fiscal policy and China/US relations seem to be more supportive broadly speaking. Do you think there's more room for risk assets to rally from where they are today? 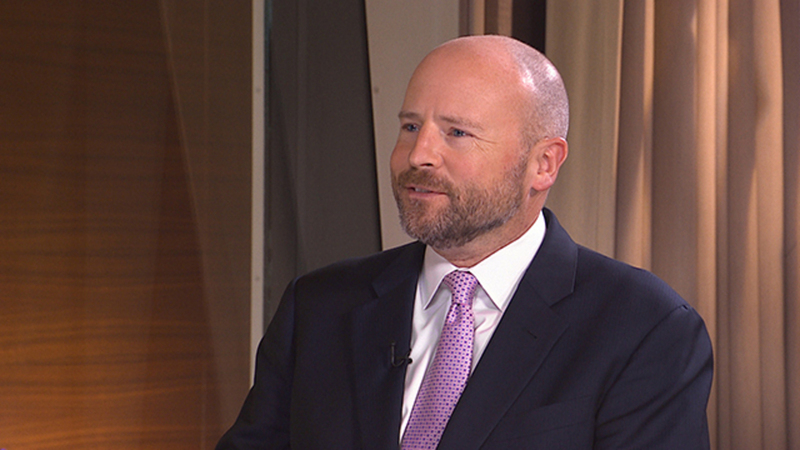 Scott Mather: There is, but we've had a pretty sharp retracement already. 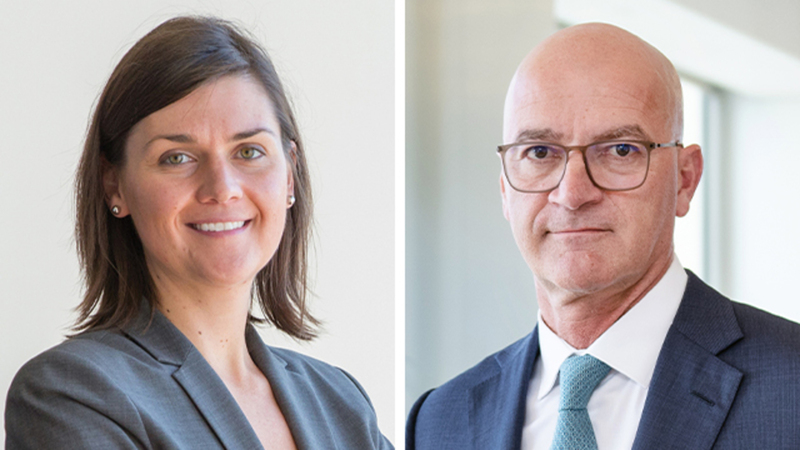 It's one of the reasons we would say a lot of the developments are sort of well-priced into the markets, and that's why we've had robust performance for equities and credit, particularly to start this year. So we think it's wrong to bet on from here further escalation in valuations. Because once again, when you look at credit spreads, we think we're pretty much on the tighter side. When you look at equities, we think it's wrong to bet here on further PE expansion. So it really comes down to where we are on the profit cycle. So we would say just look for much more normal returns from here, not an extrapolation of what we had in the first quarter of this year. Olivia Albrecht: All right, Joachim, what worries you that others are not thinking about yet? 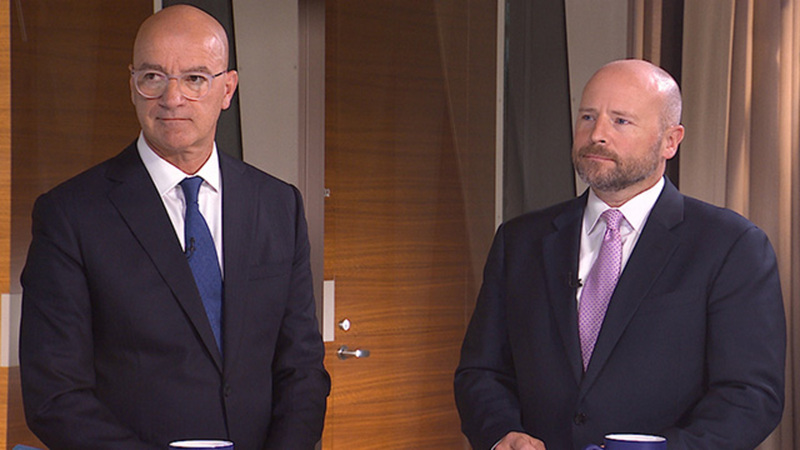 Joachim Fels: I would say compression of profit margins, because as we discussed, wages are picking up. Growth is slowing, and the ability of companies to pass on these wage increases—the cost increases—is fairly limited. I mean, there's still a lot of competitive pressure out there. So margins could shrink. Sales growth is slowing. So I think there's a real chance of an earnings recession this year, and that's one reason why we are relatively cautious on equities, and also—as Scott explained earlier on corporate credit. Olivia Albrecht: And then Scott, what do you think the market has wrong here? Scott Mather: Well, it's always several things. One thing right now is the market's extrapolating low levels of volatility. It seems like the memory is, you know, of events like November and December fades very quickly. And then the market sort of prices in ongoing stability. And you see that when you look at what's embedded in prices, when you look at option prices on financial assets. So we think that's wrong. It's likely we're shifting back to a much more average level of volatility. Other things that stand out I think where the market has wrong, when you look at what's embedded in probabilities for a hard Brexit. Looks to us like the market's still putting a much higher probability on that than we think is realistic. Also now, when you look at the US yield curve—which has an odd shape and that we're pricing a very high probability the next move is a cut—that might be a little bit overdone too. Olivia Albrecht: Thank you so much—both of you—for your insights today. And thank you for joining us. 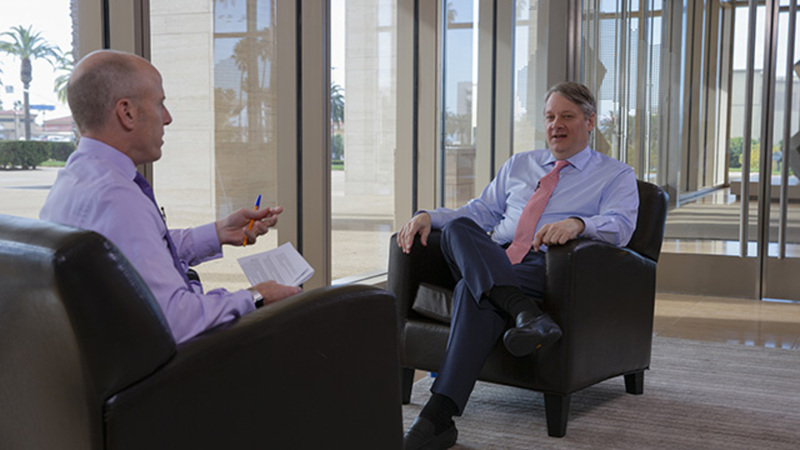 We look forward to the next opportunity to discuss PIMCO’s cyclical outlook. All investments contain risk and may lose value. Investing in the bond market is subject to risks, including market, interest rate, issuer, credit, inflation risk, and liquidity risk. The value of most bonds and bond strategies are impacted by changes in interest rates. Bonds and bond strategies with longer durations tend to be more sensitive and volatile than those with shorter durations; bond prices generally fall as interest rates rise, and low interest rate environments increase this risk. Reductions in bond counterparty capacity may contribute to decreased market liquidity and increased price volatility. Bond investments may be worth more or less than the original cost when redeemed. Corporate debt securities are subject to the risk of the issuer’s inability to meet principal and interest payments on the obligation and may also be subject to price volatility due to factors such as interest rate sensitivity, market perception of the creditworthiness of the issuer and general market liquidity. Equities may decline in value due to both real and perceived general market, economic, and industry conditions.